Yes, all the comments are true! But you have to be there with John and Corinna to really understand what this experience is all about! They are very happy, genuine and professional people who are focusing on some truly unique experiences. 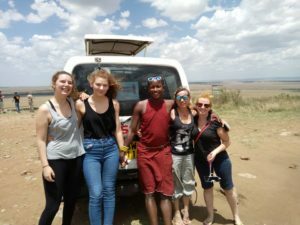 It is nothing like those mass tourism safaris, here you feel like spending time with friends, you feel welcome and comfortable all times. They went above and beyond to make my birthday the most memorable ever and I would like to send you one more thank you from both of us! If you have a chance, book a private safari or take a few friends with Namayiana and best experiences are guaranteed! 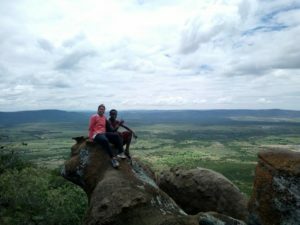 We planned our sort of "spur of the moment" trip to Kenya with only a month before travel. After combing through several agencies and sending out emails, Namayiana caught our eye. They were quick to answer & thorough in what they offered/suggested. Once in Kenya, they were by our sides from the moment we landed in Nairobi to when we were dropped off in Emali to take the train to Mombasa. We spent 9 days on safari starting in the Mara & ending in Amboseli. It was incredible. 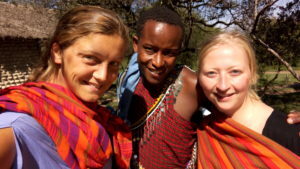 We enjoyed the time spent with Maasai people as much as we did on game drives. I highly recommend staying in "guest hut." We so enjoyed our evening with the villagers laughing and eating ugali with goat! As for the game drives, one has to see them to believe them. The car was perfect, our guides Moses & Solomon were incredibly thoughtful & knowledgeable - pointing out special sites & animals, stopping & waiting for photos. We also loved learning the local languages. It was perfect. 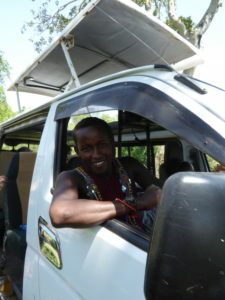 Our guide was Mpairo's (company owner) brother Moses. Mpairo was out of the country, but still called to check on us every single day & even offered to have dinner with us when arrived back to Nairobi. I felt incredibly spoiled to be so thoughtfully taken care of during our time there! We would recommend this company to our family and friends for sure. There is no way other companies could offer such a personal experience as Namayiana. We will be back for more fun one day! It was our first safari. Truly AMAZING company. We spend time with company owners Corinna, John Mpairo and our driver/guide Solomon aka "animal whisperer"(just ask him for any animal and if you're lucky enough he'll find it in couple of minutes) they're were awesome , answered all our questions , gave us the best safari experience we could wish for. PURELY INCREDIBLE. We had a chance to meet Mpairos brother Moses aka "eagle's eyes " (he can spot animals from far away) who is very fun and has lots of interesting stories. DEFINITELY WOULD RECOMMEND this company if you're looking for amazing, authentic experience and wishing to have an unforgettable safari and long lasting memories! Once again we would like to thank Corinna, John and of course the best driver and guide Solomon, for taking care of us throughout our Safari , and giving us such an INCREDIBLE experience and more. We could not be more happier ! P.S we came back earlier than expected to Nairobi(no traffic), they even provided us with tickets to National Museum, just that we wouldn't need to wait in airport for our flight for extra hours. Maasai Mara was a must for our first visit to Kenya and we wanted to experience both the national park and the Maasai living there, if possible. Not merely as spectators but as part of the daily life. 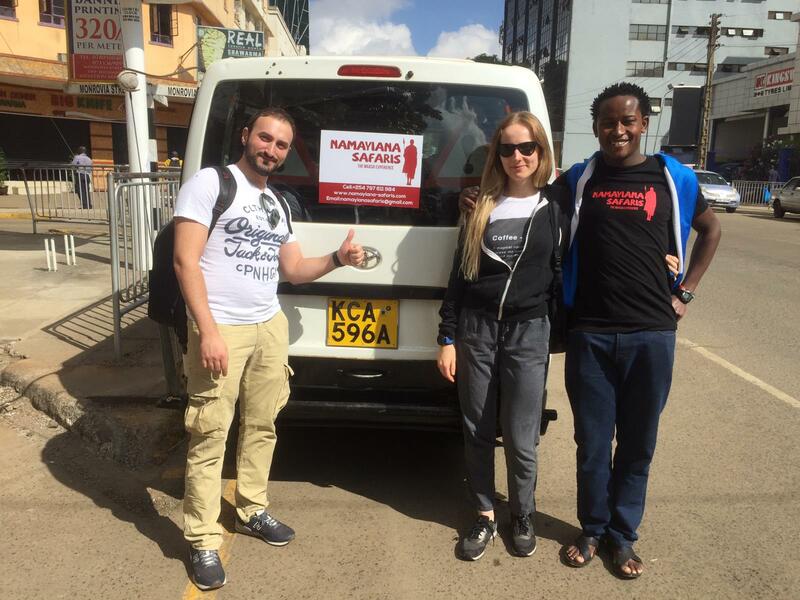 We were looking all over for a tour company or guide that could help us to that experience and finally found what become the perfect match for us in Mpario (John) and Corinna at Namayiana Safaris. A more devoted and friendly couple would be hard to find elsewhere and their sense for our, sometimes not so clearly articulated, wishes was outstanding. They arranged everything we asked for, from picking us up at the airport in Nairobi, lodging and allowing us to get to know Nairobi, lodging at the camp in Maasai Mara, game drives, introduction to the Maasai and the Maasai culture (John being a Maasai warrior himself), a most pleasant night in the Maasai village and even a hike to the mountain above the village, including an insight in Maasai medical plants. 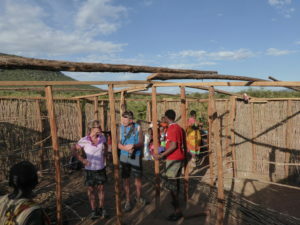 In Maasai Mara we were provided exactly the kind of tented camp we wished for, the Fisi Camp. We made visits to the park three days in a row, at evening, mid-day and morning. Johns driving skills on the sometimes quite challenging dirt roads and even more skills to be where the animals appear gave us fantastic opportunities to be close to many lions, elephants, fighting hippopotami and many more animals in various surroundings and situations. When their spare driver, Jimmy, four nights later dropped us at our friends place in Kakamega, also a part of the agreed arrangements, we had a camera full of astonishing photos and our hearts full of Kenya and several new friends, not only John and Corinna. We now recommend all our friends to visit Kenya and to ask Namayiana Safaris to be their guide we and long for the next time in Kenya. Do not miss the chance to go on a safari with Namayiana safaris! 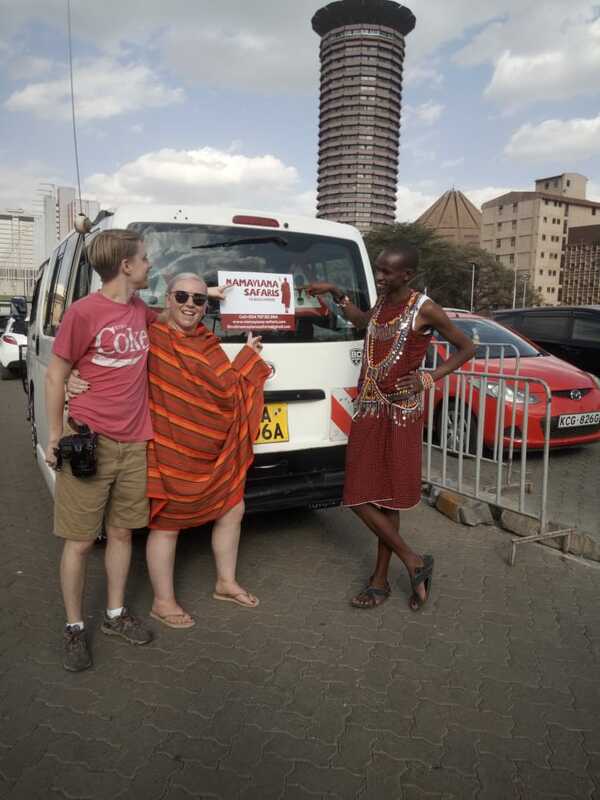 During my three weeks in Kenya meeting Mpairo (John) and learning about the maasai culture was by far my greatest experience and I will definitely return. Mpairo has in depth knowledge about nature, animals and natural medicine. In combination with a sincere respect and appreciation for nature and life, and a happy and kind personality he gave me and my friends unforgettable memories. Asante sana, tutaonana! I had the most amazing time with Namayiana Safaris and John was an awesome guide. We saw all of the animals and managed to get some absolutely amazing pictures. Spent such a great time travelling around the Maasai Mara. 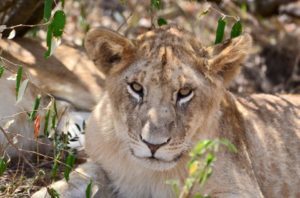 I would highly recommend doing the safari with Namayiana Safaris. The nature hike and interaction with John was one of the most memorable and incredible experiences of our trip to Maasai Mara. He met us at our lodging and we began our hike by heading towards his village. On the way, John informed us about the area and his way of life which is not only very interesting but also presented in a very authentic and personal way. John is sincerely interested in sharing his culture and history with travelers. This makes the experience that much more meaningful. 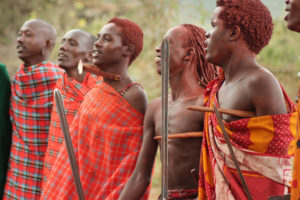 We were met by two other Maasai tribe members who accompanied us on the hike. John knew Iï¸ was a physician so he made special effort to point out natural remedies used by people in his village. He provided us with cold water on the hike and at one point allowed us to throw his spear. At the top of the hike, we had an amazing view of the blue mountains that line the Kenyan/Tanzanian boarder. This was an excellent place to take photos. This hike exceeded my expectations in every way. We had an amazing afternoon with them, visiting their village in Masai Mara. Such a great experience! Everybody was very friendly with us, showing their place, rituals, and day by day activities. And the best part was that we didn't feel that weird feeling that you're just one more Tourist! Thanks guys! Trip of a lifetime! Everyone here is so friendly and accommodating you couldn't ask for a more authentic experience. 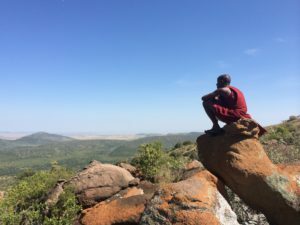 We visited one of the Maasai villages and they happily opened their homes to us, showed us their traditional dances, and even hung out around our campfire at night with us. We also walked around their school buildings, bought a few souvenirs made by the men and women of their village, and learned about how they utilize various plants for soap, henna, mosquito repellent, etc. We also visited Maasai Mara and saw many animals including leopard, lion, giraffe, and more! I'm already planning to come back next year and spend a week or so just in this area! Thank you for everything! Such a good experience! 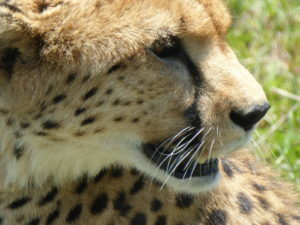 Namayiana Safaris offered an amazing, very personal tour of Maasai Mara. The park in itself is beautiful, but touring it with a passionate guide is what made the trip so memorable and unique. Can't wait for the next time!